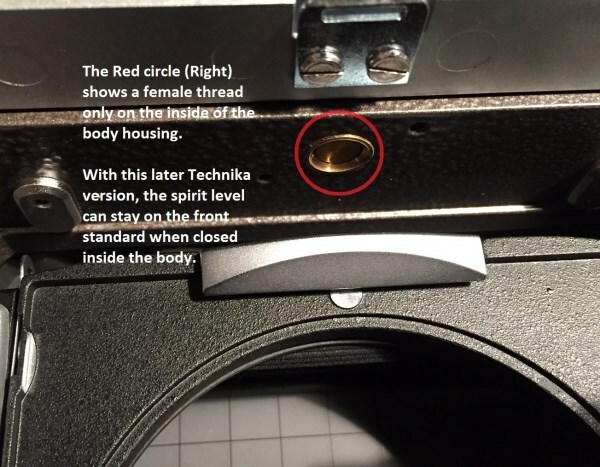 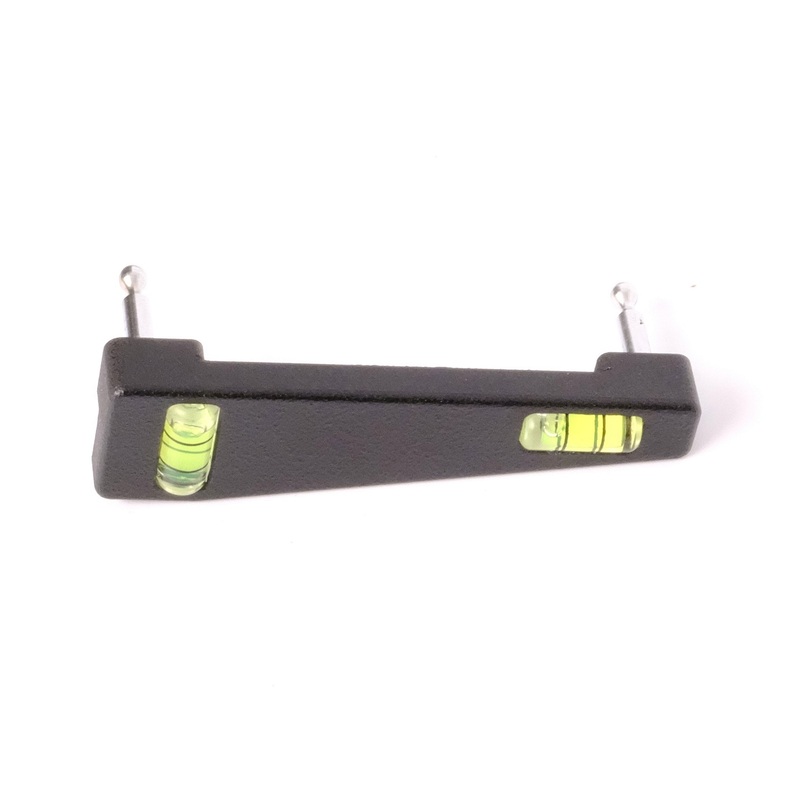 A new Technika specific accessory spirit level that plugs into the top of the front standard of all Technikas from Super Technika IV to date. 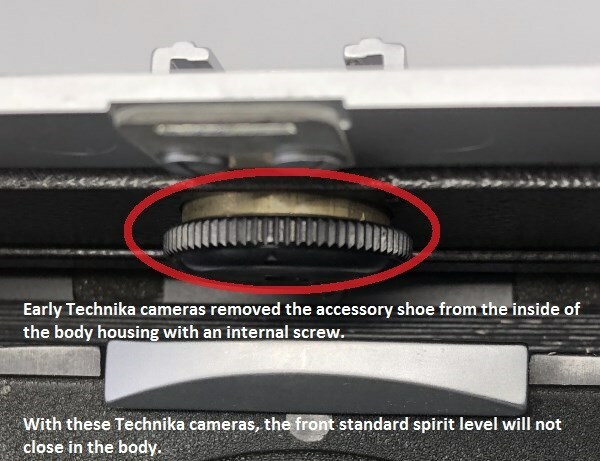 PLEASE NOTE: that If your accessory shoe is the style that unscrews from the inside of the body housing , – then it will not close in the body. 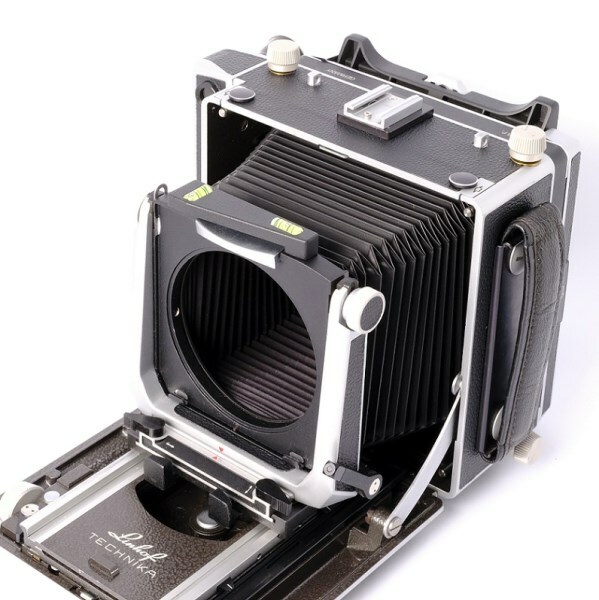 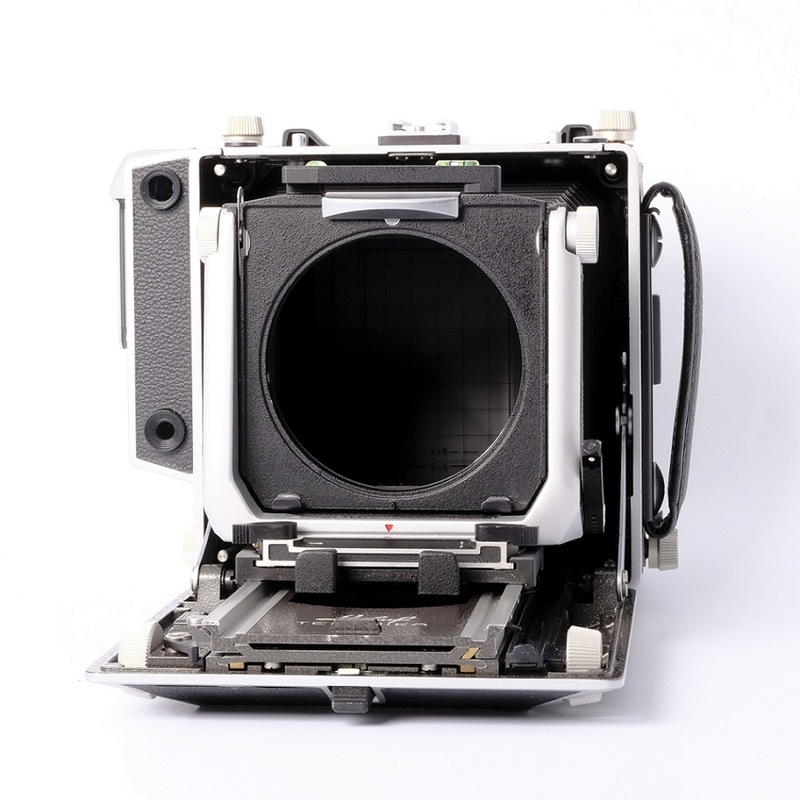 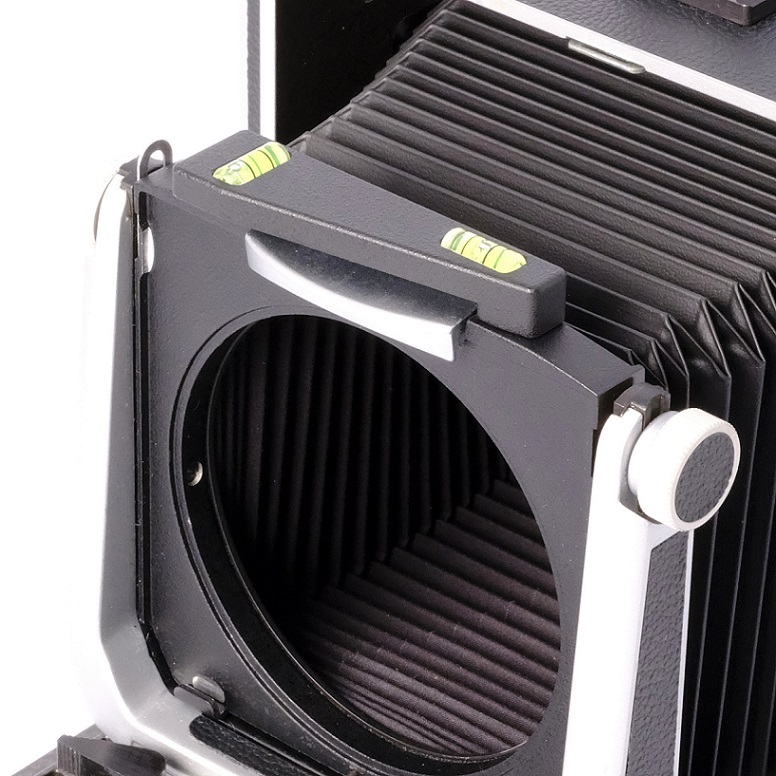 This applies to most early cameras.